(Left to right) Charlie Rose and Les Moonves. CBS announced Tuesday that it would fold the results of its investigation into CBS News spurred by the allegations against Charlie Rose into its investigation into the allegations against chairman Les Moonves. According to CBS News’ own report, the first investigation, which was conducted by the firm Proskauer Rose and expected to end this August, won’t release findings until a later date, which hasn’t been set. The two other firms conducting investigations at CBS are Covington & Burling and Debevoise & Plimpton. They are supposed to report to the CBS board with their findings. 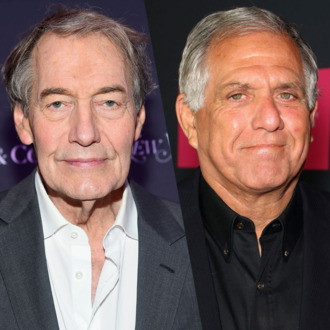 As Ronan Farrow’s New Yorker piece on Les Moonves targeted both Moonves and an alleged culture of harassment at the company, CBS claims that the firms are looking into the company at all levels. 60 Minutes chief Jeff Fager, who was also accused of promoting a culture of harassment at CBS News, has extended his summer vacation and CBS has not said when he will return. Update Friday August 10: According to CNN’s Brian Stelter, Fager returned from his vacation Friday, August 10, though the investigations are still ongoing. Per sources at CBS, "60 Minutes" boss Jeff Fager is back in the office today. CBS News previously said that he was choosing to remain on vacation while the investigations into alleged misconduct continue.